When Chizoba Imoka was 16, she moved from Nigeria to Grande Prairie, Alta. for college. She was shocked by the kinds of questions she received about her background and her hair. People asked how she came to speak English so well, and they described her Nigerian clothes as a costume. Since then she has pondered the Black student experience – striving for good grades, like anyone else, while confronting racism both subtle and overt. She has also thought about problems in the education system that may explain why it sometimes fails Black people – problems she says are by-products of colonialism. 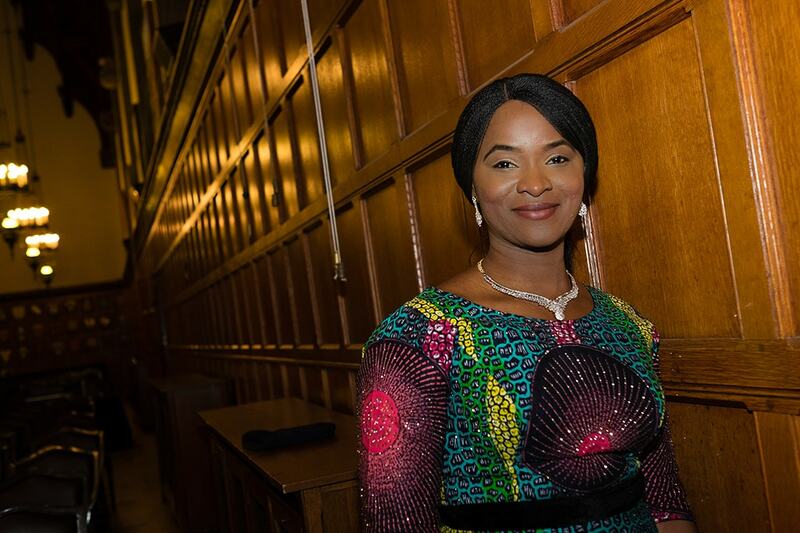 Now a PhD candidate at the Ontario Institute for Studies in Education, she is completing a dissertation on student experiences in Nigerian K-12 system. She is investigating how the Nigerian school system is preparing youth to “facilitate decolonial and inclusive democratic transformation of the country.” For this to occur, Imoka believes students must graduate from secondary school with a better and positive understanding of themselves, their cultural heritage and shared history with other Nigerian ethnic groups instead of a Eurocentric point of view. Imoka is also the founder of Unveiling Africa, an organization that encourages civic engagement, community service and political advocacy among Nigerian youth. In the Margaret Hancock Lecture at Hart House on Tuesday, she spoke about what it's like to be a Black student in Canada based on her experience and research. In the lecture – named after the first female warden of Hart House – Imoka recalled her experiences from college in Grande Prairie to her years at U of T. In Toronto, she says she had a condescending master's adviser who told her she wasn't eligible for a scholarship because she hadn't gone to school in Canada. If the adviser had read her file, he would have known that wasn't true. “If I were a white South African he would never have made that assumption,” she told U of T News in an interview. In the later years of her PhD, she met professors who helped her learn more about herself and changed her way of thinking about education. From professors like George Dei, John Portelli and Njoki Wane, she learned that many of her negative experiences in school were linked with colonialism. After her lecture, she shared the stage with Kofi Hope (below, right), a U of T alumnus and Rhodes scholar.